The opportunity to sit and pick the brain of a mutlti-millionaire doesn’t come along too often. So, Jay may have been a little late after locking himself out of his apartment… but he is always worth waiting for. This is, after all, the same guy who forgets to switch off his microphone when he goes to the bathroom at live events – pretty hilarious! Jump to the following times in the video for the main points of interest. 1:04 – Why you DON’T need to already have a success story or tons of existing knowledge in order to succeed online. And by succeed, we mean a regular 5-figure monthly income. 1:08 – HOW CAN THIS HELP YOU? What anyone promoting anything should be asking themselves. Put the other person’s needs and best interests first. Are you in the “oh god, it costs how much?” camp? Or the “wow, I’m getting $3000 worth of training from two of the leading entrepreneurs in the online world” camp? If you are the latter, I strongly recommend you hear the rest of what Jay has to say. 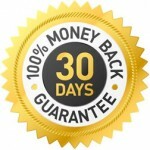 As Jay himself states on the record, try this for 30days – if it’s not for you and you can’t commit to the training any further, you will receive every cent of your money back – no questions asked. And if you need recorded evidence of this guarantee, it’s here from the horse’s mouth in the last 5minutes of this recording..!